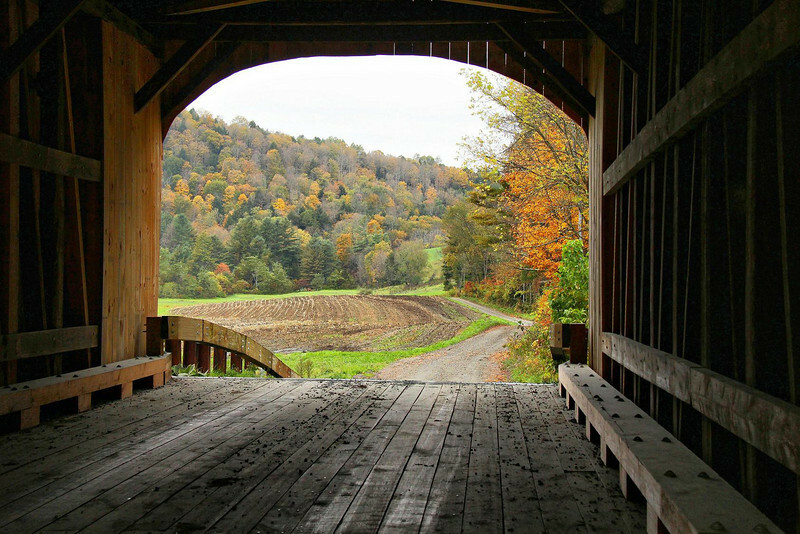 Kingsbury Covered Bridge, South Randolph, Vermont. Large sections of the plowed field and trees were obscured by 4 road signs and editing them out took some time. Many clone patches of varied sizes were placed in the field and tree line to avoid the repeat patterns often seen in clone patch programs currently in use. The final touch was adding adjacent colors along the clone edges, a few pixels at a time, for seamless blending.